Gary LaBelle is excited about helping clients who are buying or selling homes throughout the Truckee/Tahoe/Reno/Incline areas. Combining his personal interests in building mountain homes with his exceptional comprehension of technology, Gary brings a well-balanced understanding of home construction and internet marketing to the real estate business. “I find it very rewarding to find homes for my clients that are a good value – and well-built for our mountain and high desert environments”. Gary’s Reno real estate website can be found at renohome41.com. “Well-built” considerations include sun exposure, driveway access in winter, direction of snow shedding from roof, condition of roof, front door access in winter, age of home, wall construction (2×4 or 2×6), insulation, heating & cost in winter, floor construction/insulation, water pipe insulation, upgrades/obsolescence, landscape fire mitigation etc. Prior to his career in real estate, Gary LaBelle was highly involved in worldwide product development and promotion for Hewlett-Packard/Agilent; today, he uses his marketing knowledge to strengthen his web presence to help his clients buy or sell their mountain home. Gary has experience with remodeling for homes that he “upgraded” and sold after the work was completed and with buying a custom home in Tahoe Donner. Whether he’s updating website content, building furniture for his family or finding a new sport to discover in the Sierra, Gary is always finding new ways to enjoy his personal life and profession. With a mantra to serve the Truckee/Tahoe/Reno area real estate needs, Gary can be contacted at truckeerealestate@gmail.com or 530-448-1100. Gary LaBelle has been a real estate agent for 14 years, starting in Truckee and recently adding Reno and Incline Village to his areas of focus. 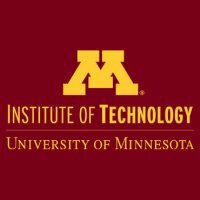 Gary has a BSEE from the University of Minnesota and a MSEE from the University of Santa Clara.